Grafx Case 12x50 shipping cases have tough, extra rigid, rotomolded thermoplastic shells and come with a 1 year warranty. This case has 50" x 12" of interior space. Grafx cases are tough, extra rigid, rotomolded thermoplastic shipping cases with integrated handles in the lid and wheels protected by heavy metal fenders for durability and easy transport. They feature butterfly latches that are fully recessed to help prevent damage during transit. Available in 6 sizes, these cases can be ordered with or without an adjustable carrying strap. 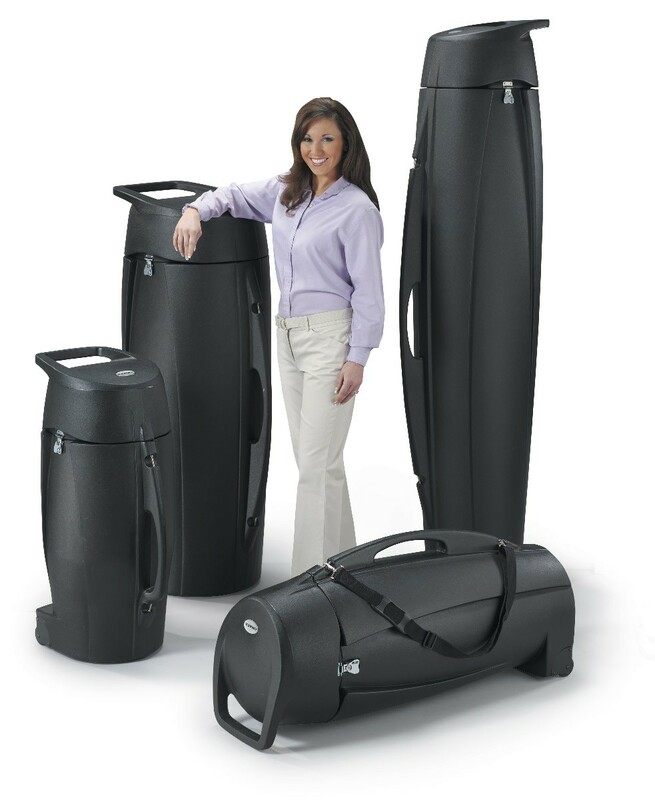 Grafx cases are excellent as banner stand shipping cases, and with a wide range of sizes available in diameters of 12" and 16" and lengths from 32" to 72", most models of banner stands will fit into one of these cases. Depending on the banner stand model, you can often ship multiple stands in one case. The Grafx Case 12x50 has interior dimensions of 12" x 50". Interior Dimensions: 50" x 12" x 12"
Shipping Dimensions: 54" x 20" x 16"